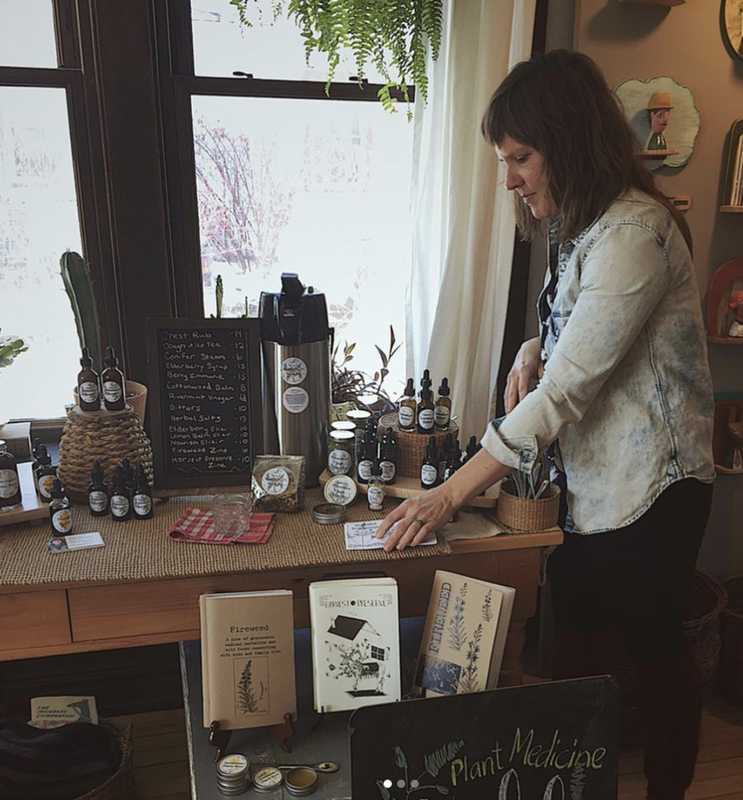 Join us March 29th, 2019 for a class on Herbal Oxymels with Jess Krueger. This class is two hours long. Zines are available for purchase. An oxymel is an old time remedy that uses simple kitchen ingredients, vinegar and honey. When combined with herbs these menstruums create a sour and sweet herbal remedy suited to a variety of culinary and medicinal pursuits. It's beautiful kitchen herbalism; a synergy of practical and experimental. Friday evening from 4:30-6:30 to discover the benefits and applications for oxymels, sample of few from the Deerhawthorn apothecary and leave with recipes to start creating at home. History and benefits of oxymels. Make a 1/2 pint of your own oxymel to take home. Recipes and tips to create ones own. Discussion about techniques, ethics and cultural awareness of contemporary herbalism. “My life is grounded in nourishment, utilizing locally abundant backyard plants and facilitating the accessible sharing of skills and knowledge. I work with people to cultivate wellness through dynamic herbal education according to their individual needs. I feel most at home creating herbal food as medicine for loved ones.